We need a nice metal coaster or two to place under or mugs and glasses for both home and office use. 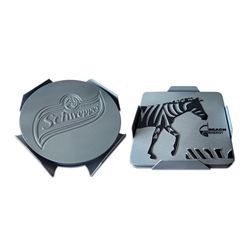 If you are looking for a nice metal coaster, Giftwrap offers two types; the coaster round and squared one and the stainless steel coaster. 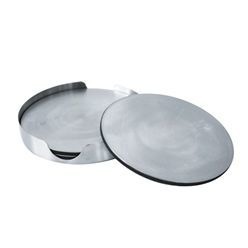 The coaster round is a coaster that is available in round and square shape and can be embossed or engraved. Moreover, the coasters can be supplied individually or in a set of 4-, the choice is yours. 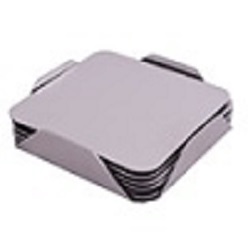 In addition, the stainless steel coaster is a stainless steel coaster that comes with a display stand. This is again a set of 4 that you can choose to add your glasses and mugs in and it wont be a problem. If you want a nice coaster to add in your home tables or office tables, this is your ideal choice. Moreover, since the coasters are made out of long lasting materials, you can expect to use them and place them on your tables whenever you like and they won't wear out. Try the coasters at Giftwrap for placing your mugs and you won't be disappointed with the results.